Endura Women's Padded Liner are cycle-specific liner shorts you can wear under loose trousers or baggy shorts. Endura Women's Padded Liner rapid-wick stretch-mesh fabric makes them cooler and more breathable than either cotton boxers or Lycra shorts. 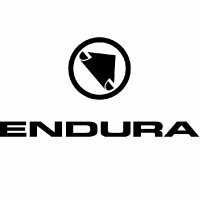 Made by Endura, Scotland's cycle clothing experts. While many cyclists wear Lycra bechamoised shorts under their loose trousers or baggy shorts, Endura Women's Padded Liners are a better idea, especially in warmer weather. Endura Women's Padded Linersr' rapid-wick stretch-mesh fabric makes them cooler and more breathable than either cotton boxers or Lycra shorts. Stretch-technology antibacterial Endura 200-Series women's-specific chamois. Soft elastic comfort waistband and lower hems.